Fishing the inner harbour saw good numbers of pinkies and flathead caught by both boat anglers and those fishing from the bank. The waterfront was a hot spot with pinkies around the 30cm mark in good numbers. Fishing the deeper water around North Shore will be a good area to target bigger snapper to potentially 8kg, casting out from the north shore rocks will have your bait in around 8 meters of water which is ideal for chasing those bigger fish. 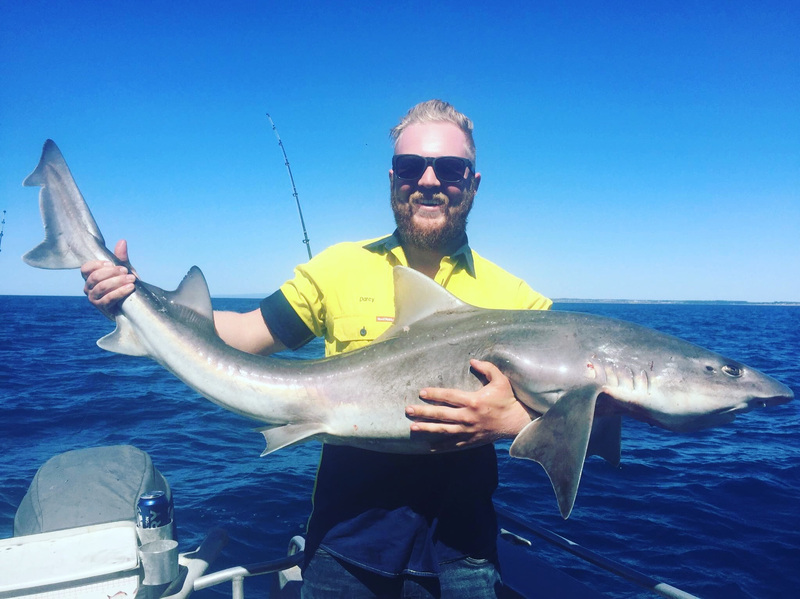 Offshore fishing from cape Schanck to Anglesea has seen mako sharks caught when conditions allowed. 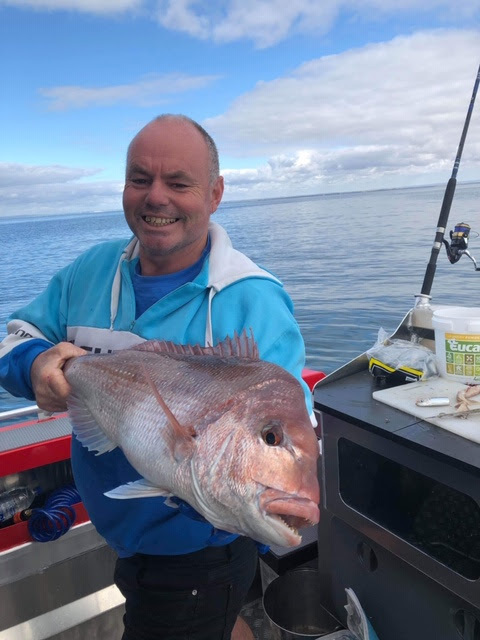 Fishing the bottom in 30-50meters of water has produced gummy shark and snapper from 1.5-4kg and anyone fishing offshore from now on can expect kingfish. 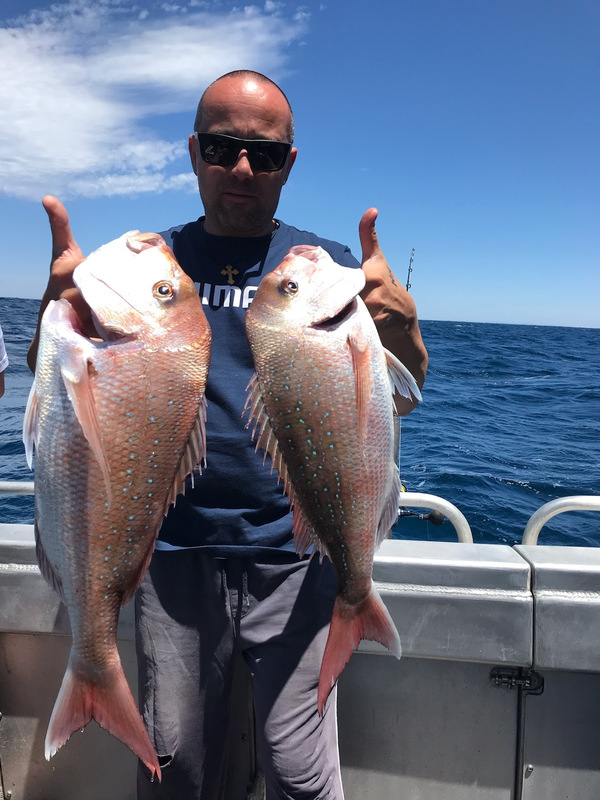 Chris from Gone Fishing Charters guided his clients onto some awesome fish including snapper and gummy shark along with a kingfish. The kingfish should really kick into gear now. Squid continued to fill anglers bags across the Bellarine peninsula with anywhere from Clifton Springs to Queenscliff holding squid over the weed beds. 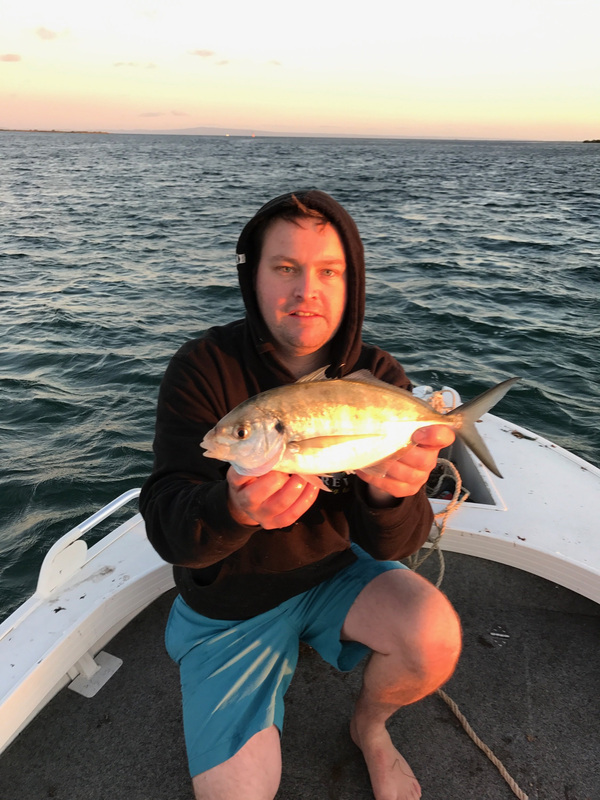 Casting size 3-3.5 jigs in white or a baitfish blue colour worked well with the Point Lonsdale bight still holding the bigger models. 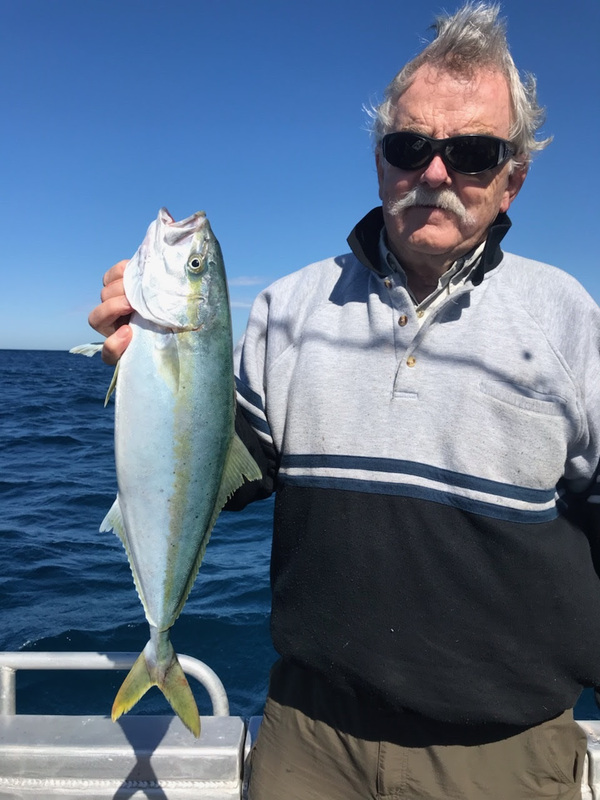 The Swan bay channel is fishing very well for a mixed bag. Chris & Sam Pitman got stuck into some nice sized trevally, salmon & whiting. A number of coastal estuaries fired over the week with quality bream being caught. Peri Stavropoulos and Owen Westwell had a ball casting unweighted scrub worms and light soft plastics into snags and pulling out bream to 40cm, they found that walking the bank while actively casting at snags to find the fish was far more productive than just casting anywhere and waiting for a bite. 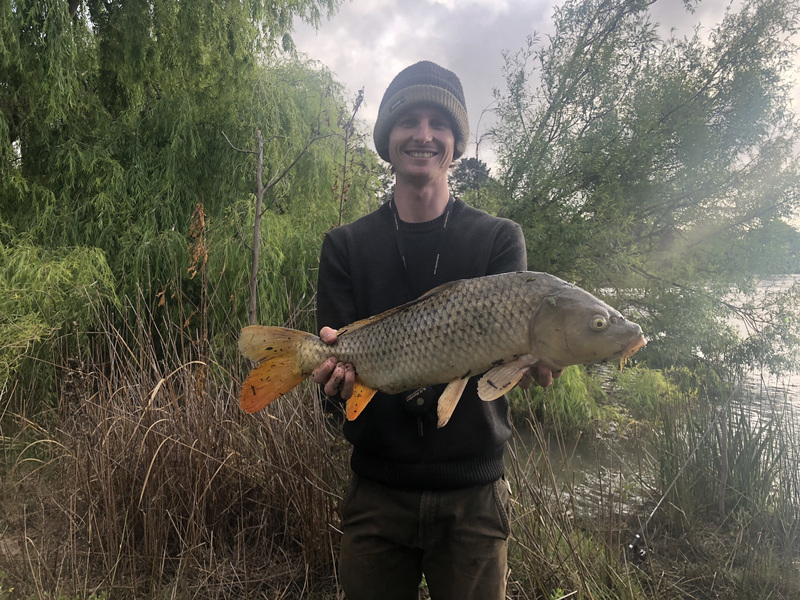 Carp fishing in the Barwon River has kept a number of anglers entertained over the last few weeks with anywhere down from Queens Park all the way to Breakwater producing carp to 5kg. A light berley will keep the fish in your area while sweet corn or bread squeezed onto an unweighted hook will work well as bait. Daniel Baden pictured bellow with a carp taken during the week at McLeods Waterhole Drysdale. Heading west and Lake Purrumbete makes the report this week with plenty of fishing action taking place on the new fishing jetty. Using mudeye under a float towards the end of the jetty saw brown and rainbow trout caught to over 4lb. All I can say is WOW, the River is fishing amazing, looks great, Cod opening on a Saturday, great clarity, awesome weather! all shaping up to be a cracking Cod opening. We have had some Fisho's from Trawool area saying things look great for Cod there, last opening they where getting plenty of Cod trolling 6 metre Divers, orange seemed to be the colour. Some good Redfin on small Yabbies and Size 3 Stumpjumpers and a few Yellowbelly on Jackall T/N's towards Seymour. A few Yellowbelly and Redfin on Worms, Shrimp and Small Yabbies around Nagambie, bobbing the deep water around the dead trees between the Caravan Park to Tahbilk Winery the area to focus on, Land based around the boardwalk in the Lake or in the River near Chainman's Bridge on Heathcote Road. Below the Weir from Murchison East to Undera is all fishing great, the water is clear, not flowing too quick and is perfect for Lure fishing, so we are looking forward to a great Cod opening. There are plenty of Yellowbelly being caught, mainly on Shrimp and Worms, the fish seem to bigger so far this season, plenty of reports of 55cm plus fish, also the amount of by catch Cod is crazy, unfortunately there's not much you can do about this if your not targeting Cod, but we have heard of 2 metre Cod caught towards Toolamba already and plenty of Cod between 70cm to 80cm and big numbers of Cod between 45cm to 60cm, so you can only imagine how good the season will be when Fisho's start targeting Cod? With the Water Clarity being so good, lures will be the go, Bassman Spinnerbaits, Old Mate, Stumpjumpers, Balista and Codger Divers will work great, the River is lowish, so Surface Lures and Swimbaits will work great also. Area's I would look at are the end of Duggens Road at Murchison East, Cemetery Bend Toolamba at the end of Kiota Road, Arcadia area, Bunbartha north of Shepparton and Fidge Road Undera, all great spots for camping. 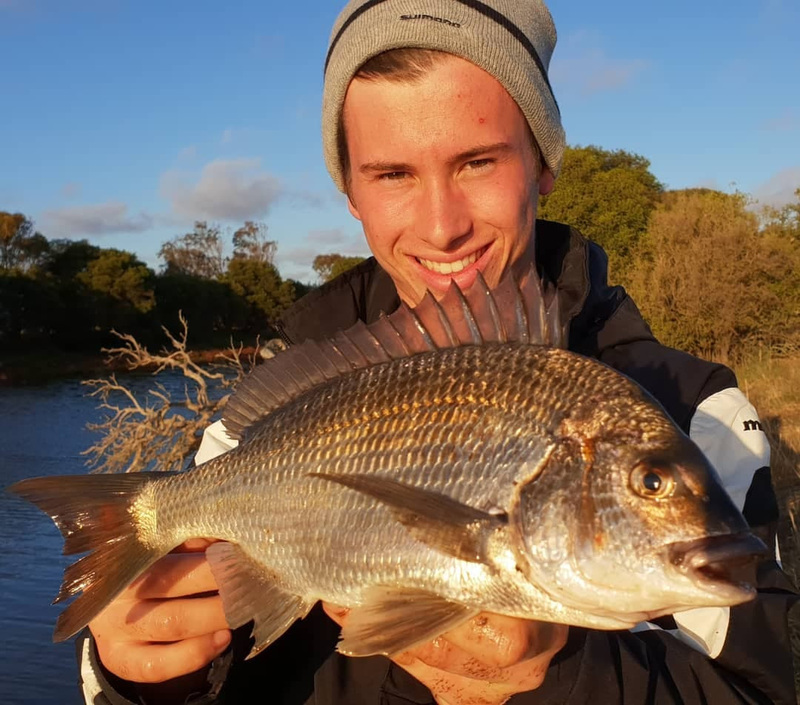 Waranga Basin is still fishing well, that is, when the WIND stops, Benny has been getting some good Redfin on Soft Plastics and there have been some good Redfin on small deep Divers such as 55mm Codger 15+ in most colours. All the Channels are fishing well, small Yabbies and Worms the way to go, plenty of small Redfin, but a few keepers amongst them. Some absolute horses of Yellowbelly coming out of The Main Western Channel at Middle Road on Worms and Jackall T/N60's and ZX40's in dark colours, most fish are over 55cm and are in amazing condition, fat! Things are looking ok, the River is high and is flowing quite hard, but the clarity looks good, just find the slower, deeper water on the bends, out of the main current, that seems to be where the fish are sitting. 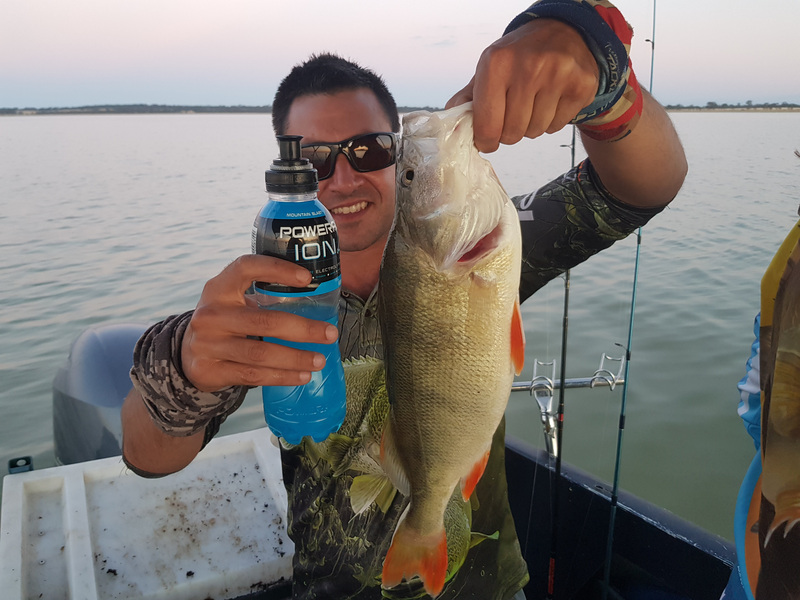 Lake Mulwala looks great for the Cod Classic, not much weed of course, but work the timber with Swimbaits and Spinnerbaits, your sure to catch some good fish. Barmah to Ulupna Island will be the go in the Murray this opening, work hard and you should see some good fish.